Are you a chemical engineering graduate with aspirations to further your studies in the disruptive fields of biotechnology and biochemistry? Opportunity is knocking as the Paper Manufacturers Association of South Africa (PAMSA) invites applications for its Master of Engineering (M.Eng.) bursary recruitment programme. For the eighth year running, PAMSA is reaching out to post-graduate chemical engineering students who wish to pursue research in novel processing technologies that would position the pulp and paper sector as a leader in the beneficiation of wood-based products. “As the world grapples with the problem of plastic in its rivers and oceans, our industry is presented with the opportunity to step forward with sustainable, renewable and biodegradable solutions through the use of commercially farmed trees as well as pulp and paper,” says Jane Molony, PAMSA executive director and president of the International Council of Forest and Paper Associations (ICFPA). Each bursary is valued at R100,000 per year for two years full-time study for M.Eng. degree at participating universities. “The focus of our student research programmes has been on improving the use of renewable resources such as wood, recycled paper, forest residues and mill waste streams,” explains Molony. Due to the number of processes in any pulp and paper mill – from evaporation to hydrolysis, from chemical recovery to dewatering – there are also a number of research opportunities to examine the biorefinery capabilities of such mills. “A number of our members have invested in extractive and recovery technologies at pilot and industrial scale,” Molony says. The range of research topics is extensive and could entail the development of bio-plastics, low-cost extraction of high value bio-chemicals from wood, mill waste streams and recycled paper fibre, or improving the water and energy footprints of pulp and paper mills. The sector employs around 150,000 people through forestry, papermaking and paper recycling. Over the past eight years, the programme has facilitated bursaries for 45 Masters and PhD students around the country, many of whom have gone on to pursue careers in the pulp and paper industry. North-West University’s Jozi Radebe won the 2017 award for the best post-graduate student in the university’s faculty of engineering. Radebe and fellow PAMSA bursary recipient, Madelein Pretorius, completed their Masters degrees with distinction. “It is the most beautiful feedback I have ever received for one my students and I am very proud of Madelein,” says her supervisor, Prof Sanette Marx (PrEng) at the university’s Centre of Excellence in Carbon Based Fuels. Eng. (chemical engineering) graduates interested in enrolling for M.Eng. studies in the bio-technology space of the pulp, paper and board packaging industry. A good academic record with a minimum 60% average in the final year of study. Applicants must have completed their studies in five years or less. Candidates should indicate their areas of interest, for example energy efficiency, renewable energy and biopolymers etc. South African citizenship is an advantage. Interviews will be held with selected candidates. Deadline extended! Applications close on 1 June 2018. 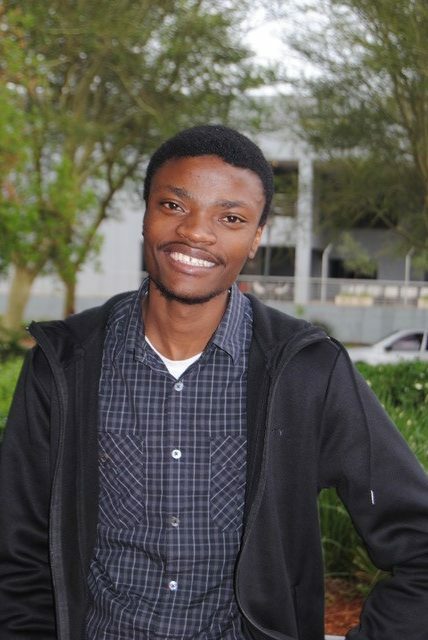 Jethro Masetlwa is completing his Master of Engineering through UKZN and the CSIR exploring the valorisation and fractionation of eucalyptus bark extractives. This entails breaking down the bark into various components and examining what commercial value could be derived from the by-products. 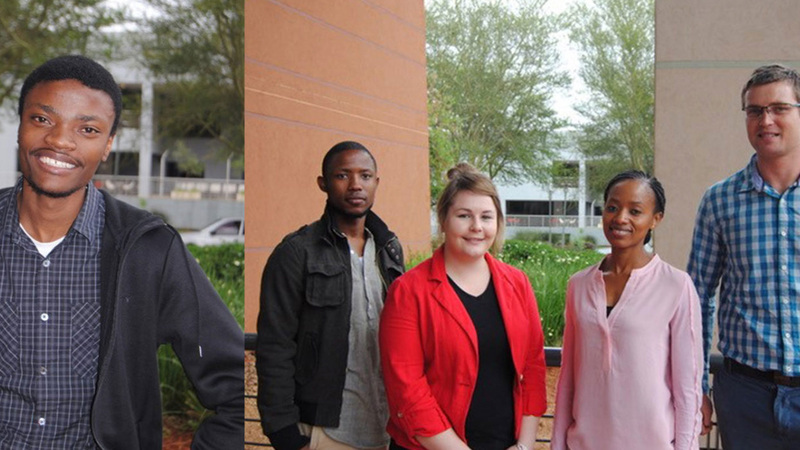 North-West University’s Jozi Radebe (left) has been looking into microwave-assisted acid hydrolysis of a steam-treated wood hydrolysate (produced through a chemical reaction using water) while Madelein Pretorius (second from left) has focused on producing bio-based carbonate derivatives from lignin which is typically a by-product from the paper pulping process. Nomtembiso Piyo (second from right) is doing her PhD on the fractionation of an acidic hydrolysate from steam-treated wood. Richard Bence (right) is studying the improvement of the digestibility of pulp-mill waste water by means of anaerobic digestion.